Card shops allow the player can buy and sell cards. Card shops can be found in each town an in many dungeons. Each card shop will have a random selection of cards for purchase. To purchase a card, the player simply drags the card from the card shop into their library. The purchase price in gold will be deducted. To sell a card, the player drags the card into the store and gains gold. 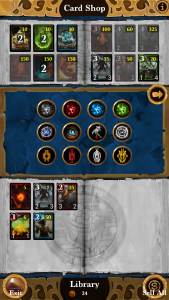 A Sell All button is provided that will sell all cards currently visible in your library. 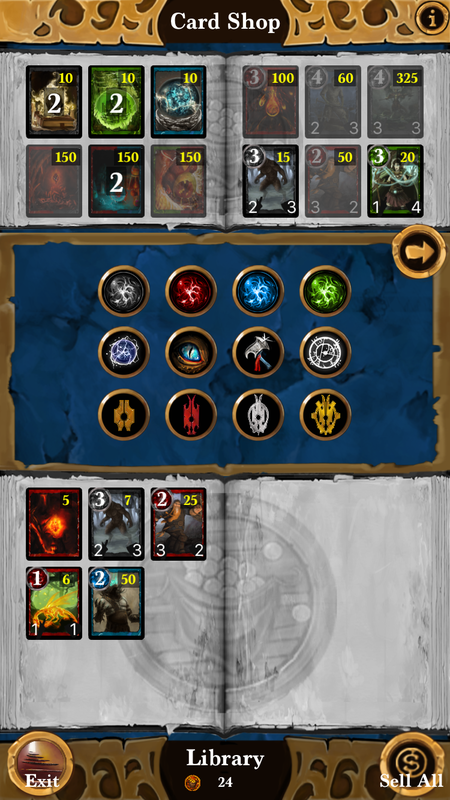 Filters are provided in the card shop that allow the player to see selected colors, rarities and types of cards.